Spoiler Alert: A few items that will be featured in our auction. 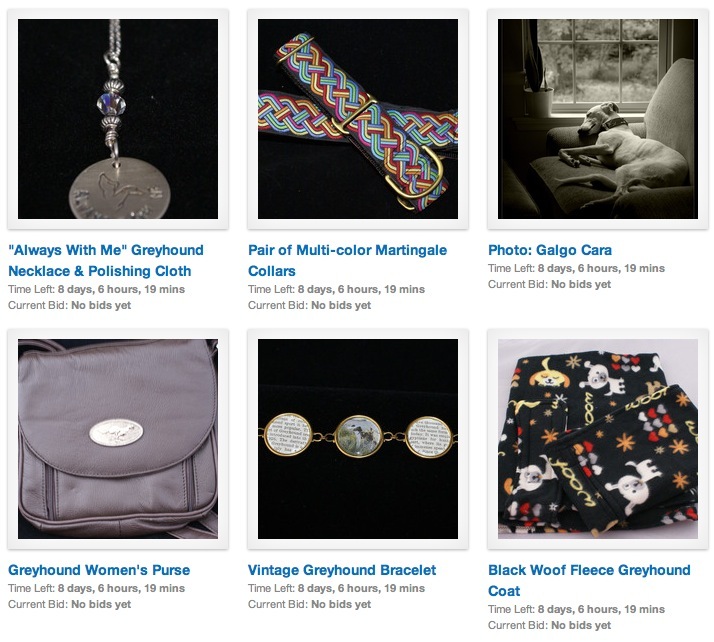 Here are just a few items we will have on our auction hosted by 2Hounds starting July 31. Now accepting donations for an upcoming auction. GRIN is having an auction hosted by 2HoundsDesign in August, and we couldn't be more excited. We're accepting donation of goods or services through early July. Reminder: Holiday auction ends soon! Greetings and salutations, GRIN friends and supporters! 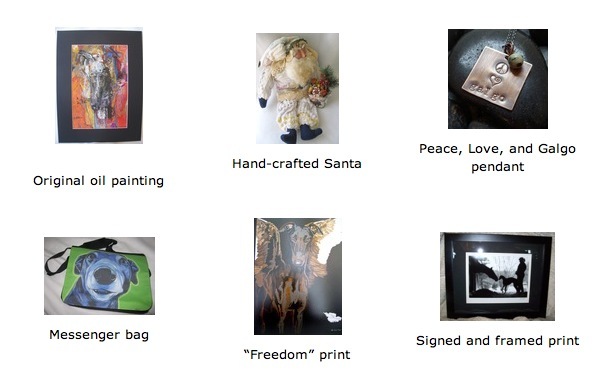 Our winter auction is underway, but you only have a few more days to bid on some spectacular, unique items and help support the Galgos. 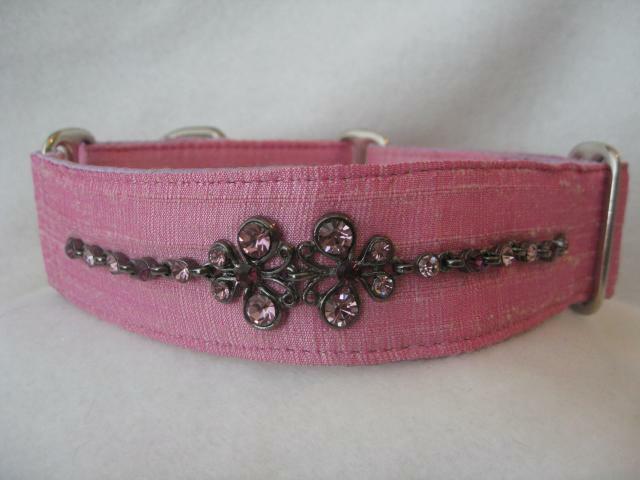 The Greyhound Benefit Auction is being hosted by the wonderful people behind 2 Hounds Design. Truly, it has some of the most incredible and unique items that we've ever featured in an auction, and if you pay via PayPal, you'll receive your items before Christmas! The auction is live now, and it runs through December 12, 10 PM Eastern. Happy bidding, and thank you for your support! Also, for a limited time, any dollar you donate will be matched thanks to an unprecedented offer from an anonymous couple in Colorado. These generous galgo angels will MATCH each and every monetary donation made to GRIN up to a total of $5,000, meaning we have the opportunity to generate as much as $10,000 to be used to save the lives of many beautiful and deserving hounds! We honestly cannot tell you how much we appreciate all of you — quite literally, we could not do it without you. Please consider making a donation during this unique matching period using the PayPal button on our website, and make sure you check out the amazing items in the auction. Holiday Auction AND Donation Matching! THERE’S NEVER BEEN A BETTER TIME TO MAKE A DONATION FOR THE GALGOS! MATCHING FUNDS DONATION ALLOWS YOUR GIFT TO GO TWICE AS FAR! Not only has our winter auction just begun, but we've received an incredible donation-matching offer! GRIN has just received an amazing and unprecedented offer from a couple in Colorado (they wish to remain anonymous). Over the next couple months, these generous galgo angels will MATCH each and every monetary donation made to GRIN up to a total of $5,000 — that means we stand to gain as much as $10,000 which will be used to save the lives of many beautiful and deserving hounds! In the six years GRIN has been working to better the world for galgos and other sighthounds, we have been tremendously blessed by such a strong group of supporters and donors. Without your ongoing support we would be unable to provide grants for life-saving veterinary care, unable to place galgos and podencos in their forever homes, unable to provide shelter grants and emergency grants. We would not be able to provide any of the assistance to the more than 12 shelters and organizations that so desperately need our help without your ongoing support, and we are so very grateful for everything each of you has brought to the aid of the galgos over the years. The kindness and generosity of our donors and supporters has been a rejuvenating force for all of us. There is so much ugliness, depravity, and despair in the world of galgo rescue, but the truly amazing positive spirit we see from people like yourselves gives us such hope for the future of the galgos. We are asking all of you, our faithful and generous donors, to consider making a donation to GRIN this holiday season. Your donation is a much-needed and potentially life-saving gift. As always, donations to GRIN may be tax deductible as described in United States IRS non-profit regulations. There has never been a better time to donate – with the matching funds donation, your donation will go twice as far! Thank you all so much for your ongoing support, each one of you makes a difference to these very special dogs!